The Cambridge Cutthroat Kit brings you the pleasure of traditional straight razor shaving in a convenient and easy to use kit. This specially assembled kit includes most of the basic tools necessary to start practising the art of straight razor shaving, without the hassle of honing and stropping a non-disposable razor. Straight razor shaving is a more luxurious, effective and cheaper method of shaving than disposable razor shaving. Purchase your blades on Amazon! Search for double edge razor blades on Amazon, and start using your new razor immediately! 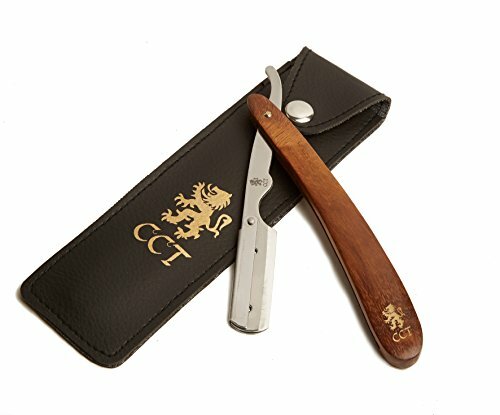 Visit our website at www.cambridgecutthroat.com to view some useful instructional videos about how to use your new razor. Although Blades are not Included with this Kit, Razor Blades can be Purchased Online From Amazon, From Most Good Pharmacies and Large Supermarkets.